Prime Minister Narendra Modi will hold a roadshow in Bhubaneswar during his visit to Odisha on 16 April. Meanwhile, in Uttar Pradesh's Kushinagar, Congress leader RPN Singh fried pakodas at a fair, ANI reported. The snack has frequently featured in the party's protests against the NDA government in recent times, after Narendra Modi cited people opening pakoda stalls as evidence of employment generation in a media interview. BJP MP GVL Narasimha Rao addressed a press conference in response to the Opposition's joint press briefing over the issue of EVM malfunctioning and said they will approach the Supreme Court again to demand that at least 50 percent of paper trails be verified with EVMs. Congress general secretary Priyanka Gandhi on Sunday addressed a public rally in Assam's Silchar in favour of the Congress Lok Sabha candidate, Sushmita Dev. Priyanka said, “The prime minister has time to visit US and other countries but doesn’t have the time to visit his own people. When asked the public, they said Prime Minister Narendra Modi has not visited his own constituency." Home Minister Rajnath Singh, who addressed a rally in Uttar Pradesh's Bijnor district on Sunday said, SP-BSP have formed an alliance to stop Narendra Modi ji. It could have never been imagined that these two parties will come together in UP. They knew 'Modi ki aandhi mein hum (SP and BSP) akele tinke ki tarah beh jaenge', so they came together. Congress leader Kapil Sibal in the Opposition's joint press conference on Sunday said, "We believe in voters, not in voting machines... Why are VVPATs not ready to count 50 percent...if EC is going to ignore these facts then we will try some other ways...we can tell EC how these machines can be manipulated…We are not ready to accept EC’s decision." Congress leader Abhishek Manu Singhvi, in the Opposition's joint press conference on Sunday said, "Names of Lakhs of voters are deleted online without physical verification. There is a long list the parties have given to EC. It has become even more necessary to count at least 50% of the paper trail of VVPAT. We will demand the same in Supreme Court." He added, "Questions were raised after the 1st phase of election,we don't think EC is paying adequate attention. If you press the button before X Party,vote goes to Y party. VVPAT displays only for 3 seconds, instead of 7 seconds." Congress general secretary Priyanka Gandhi is holding a roadshow in Assam's Silchar. Andhra Pradesh chief minister N Chandrababu Naidu said that the Opposition's EVM- and VVPAT-related demands were not new. "EVMs can be seen being manipulated. I am working to save democracy," Naidu said. According to reports, Delhi chief minister Arvind Kejriwal and Congress leader Kapil Sibal are also at the presser. Congress leader Abhishek Manu Singhvi began the press briefing saying that the Opposition parties were not "satisfied" by the Election Commission's action on the "irregularities" in the EVM and VVPAT system. "We are not satisfied with the EC's action on VVPAT, we want more VVPAT to ensure fair polls, we have seen numerous irregularities in the first phase. We need to uphold the credibility of the polling process, VVPAT is an indispendable part of the process, and we need more officials to speed up the process." Congress general secretary Priyanka Gandhi Vadra reached Silchar in Assam on Sunday ahead of the planned roadshow. News18 reported that she will also visit the Kachakanti Mandir in Udharbond and address a rally. "Your vote in 2014 has given marginalised communities all the benefits," Narendra Modi said. The BJP is committed to bring the Kashmiri Pandits back to their land, Prime Minister Narendra Modi said in his Kathua rally in Jammu and Kashmir. "The Congress was so concerned about their vote bank, that they pretended not to see the atrocities against my Kashmiri Pandit brothers and sisters," Prime Minister Narendra Modi said. The prime minister also referred to the 1984 Sikh riots and said that the Congress was betraying the people by promising nyay. Prime Minister Narendra Modi said that Congress had been "infected with germs" the grand old party's manifesto promise that AFSPA will be removed from the state if they come to power. "Can a patriot speak like this? Shouldn't our security forces have a safety net" he questioned. Prime Minister Narendra Modi challenged the "two families" who have "ruled" Jammu and Kashmir for three generations and said that he would not allow them to divide the country. He was referring to NC chief Omar Abdullah's demand for a separate prime minister for the state. Prime Minister Narendra Modi reiterated the 'chowkidar' campaign in his rally in Jammu and Kashmir's Kathua. He slammed the "Abdullah family" and said that he was not scared or intimidated. The Congress is raising questions on the government's actions on national security to appease their vote bank, says Prime Minister Narendra Modi in a rally in Jammu and Kashmir's Kathua. Prime Minister Narendra Modi said that the Congress had 'never trusted' the Indian Armed Forces, referring to the Opposition's questions regarding the 2016 surgical strikes and the IAF strikes in Balakot. "For the Congress, the army is only a way of earning money," Modi said. He mentioned the Bofors scam. The prime minister launched an attack on the Opposition, and the Congress in specific. He also alleged that Punjab chief minister Amarinder Singh had 'insulted' the Jallianwala Bagh memorial by not attending the government's memorial on the day of the incident's centenary. Prime Minister Narendra Modi began by paying a tribute to Dr BR Ambedkar on the latter's birth anniversary. He also addressed the public in the local language initially and said that there is still a BJP wave across the country. 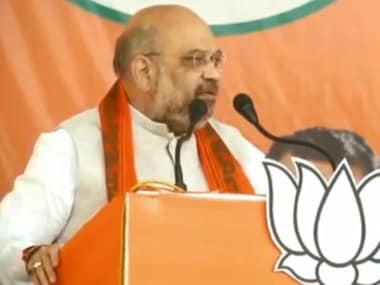 "Opinion polls and surveys are saying that BJP will get thrice the seats that Congress gets in these Lok Sabha polls," he said. Prime Minister Narendra Modi begins speaking at a public rally in Jammu and Kashmir's Kathua district. Modi raised slogans for Dr BR Ambedkar on the latter's birth anniversary. Samajwadi Party chief Akhilesh Yadav, while addressing a rally in Uttar Pradesh on Sunday, slammed the BJP's claim that the NDA government has made national security strong in its tenure. He said, "They say as long as there is a BJP government, our borders are secure. We the people of Samajwadi Party believe that as long as there are brave soldiers at our borders, the borders are secure. Governments come and go but the jawans stay at the border, protecting India." The Bahujan Samaj Party on Sunday released its fourth list of 16 candidates for the Lok Sabha election. The second phase of the election is scheduled for 18 April. Congress general secretary Priyanka Gandhi will address a rally in Assam's Silchar, however, Congress president Rahul Gandhi was forced to cancel his public rally scheduled for Sunday in West Bengal's Siliguri after the state authority denied permission for his helicopter to land at the venue. Prime Minister Narendra Modi will keep up the campaign for the second phase of the Lok Sabha election with three rallies on Sunday — in Jammu and Kashmir's Kathua and Uttar Pradesh's Aligarh and Moradabad. Punjab Chief Minister Amarinder Singh accused Prime Minister Narendra Modi of playing "dirty politics" after the latter claimed that the Congress leader skipped an official event marking the Jallianwala Bagh massacre's centenary as he was busy in "Congress parivar's bhakti". Amarinder Singh alleged that the central government had deliberately chosen to hold a "parallel event" instead of supporting the initiatives and programmes of the state government. Singh claimed in a statement that he had personally approached the prime minister several times over the last two years to seek support for ensuring that the occasion is commemorated in a befitting manner but the Centre had failed to respond suitably. "Instead, the Modi government decided to hold its own event, quite evidently to score political brownie points in the backdrop of the Lok Sabha elections," he alleged. "This was truly shocking considering that the prime minister is the chairman of the Jallianwala Bagh Trust," Singh said. A video that went viral on social media, shows leader of opposition in Rajasthan assembly Gulab Chand Kataria warning tribals that high birth rate of Muslims might break up India. Kataria was trying to justify his comments by referring to the decreasing population of Hindus in Pakistan. He added that while the Hindu population reduced in Pakistan but Muslim population increased in India, according toCNN-News18. TDP youth wing Telugu Nadu Students Federation's district president Tirumala Naidu hospitalised after being attacked in Nellore. More details awaited. Rahul Gandhi will reach Thiruvananthapuram on 15 April. He will visiting Kollam, Pathanmitta and Alappuzha on 16 April. On the same day, he also be visiting the residence of late KM Mani, a senior Kerala Congress leader, in Kottayam. He will be visiting Wayanad on 17 April, where he will hold a road show and public rally. "People asked me why I call the Opposition Mahamilavat. 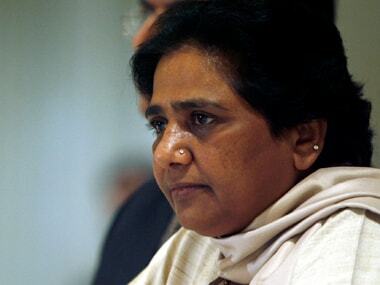 Behen ji (Mayawati) spent so much money on statues that now one may find money even in the statues’ purses. What does politics bring you to? The elephant is now sitting on the cycle and is aiming at the chowkidar. Their slogan now is ‘mera bhi maaf, tumhara bhi maaf, warna ho jayenge dono saaf’ (let’s forgive each other else we will both be removed). The people will not forget their deeds and will give full majority to BJP." The prime minsiter said, "The Opposition has one-point agenda – to defame Modi. Congress calls me ‘shauchalay ka chowkidar’, saying that Modi’s agenda is to build toilets. Can you imagine that after 70 years of independence, women wait for the dark in the absence of toilets? Those with all the luxuries will never understand. He further said, "In western Uttar Pradesh, gundas made lives of women difficult. The Yogi Adityanath government dealt with this strictly. It is the Opposition’s mentality that compels Muslim women to suffer from triple talaq. On 23 May, when election results will come and when the Modi government comes back, the Triple Talaq will be tabled in the Parliament again." Do you want a cowardly government or a strong India? India had technology to attack satellites since a decade. When scientists asked for permissions from the Congress government, they were busy with their remote control government. When scientists asked the same from the Chowkidar’s government, we gave a green signal. India has also done a strike in space and it has become a matter of discussion. Enemies will think 100 times before attacking India in air, space, land and even space. When India’s strength across the world increases, that is when economy will flourish too. That is when our decisions will be supported by other countries. The India that we have vowed to help progress and develop will be strong. Earlier, terrorists from Pakistan used to come and attack and Congress used to only complain. Today, it is a new India. Brave soldiers met the Uri attack with surgical strikes. After Pulwama, we entered their homes with the air strikes. They have now understood that a third mistake will bear heavy costs. Now, Pakistan is complaining to the world, as the latter supports India. Pakistan’s friends have also left their side. “I am not scared of Income Tax raids. Even when HD Deve Gowda went to somebody's house for dinner, their house was raided. What kind of government is this? I don't need to learn from the Prime Minister. 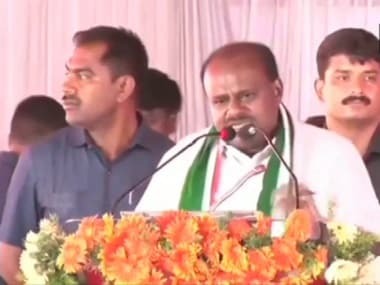 As a Chief Minister, I haven't taken lives of innocent people, like he did,” Karnataka Chief Minister HD Kumaraswamy told reporters in Bengaluru. Union Minister Chaudhary Birender Singh offered to resign from the cabinet and Rajya Sabha as his son Brijendra Singh got a ticket to contest Lok Sabha elections from Haryana's Hisar. “When BJP goes for elections, they're against dynastic rule. So I thought it proper that if my son gets a nomination, I should resign from the Rajya Sabha and ministership. I have written to Amit Shah ji that I am ready to resign,” he told ANI. “The Election Commission is acting under the BJP. They have to act impartially, but we doubt even EVMs are under manipulation. That is why we are demanding 50% counting of VVPATs, but they are not agreeing to the same,” Andhra Pradesh Chief minister N Chandrababu Naidu told ANI. "Rahul Gandhi says Garibi Hatao, just like his father and grandmother. Just like television shows give disclaimers that all its characters are fictional, there will soon be disclaimers before Gandhi’s speeches which say ‘ye bhashan kalpnik hai’ (this speech is fictional)," said Maharashtra Chief Minister Devendra Fadnavis. On being asked about a possible alliance with Congress, Delhi Chief Minister and Aam Aadmi Party chief Arvind Kejriwal told reporters, "The country is in danger. To save the country from Narendra Modi ji and Amit Shah ji's 'jodi', we are ready to do whatever is needed. Our efforts will continue till the end." "Should the country not be freed of terrorism? Should Pakistani terrorists not be eliminated? Should surgical strikes and air strikes not be conducted? Modi’s mission is to eliminate terrorism, corruption and poverty." At the Aligarh rally, Modi said, "It is the power of the Constitution, penned by Bababsaheb Ambedkar, that a member of an otherwise repressed community is now at the position of the President. It is the power of the Constitution that a tea-seller is the Prime Minister. We will develop all the five places relating to Ambedkar as hubs of tourism and pilgrimage." He further said, "The Opposition forgot what the people of western Uttar Pradesh went through for their own advantage. Some wanted to change the face of politics, but they adopted the slogan ‘Sabse pehle parivar aur rishtedar’ (Family and relatives come first and foremost)." People want progress and development and Caste-based selfish politics are not needed. People want ‘sabka saath, sabka vikas’. The elections results this time will compel the Mahamilavat to buy Aligarh locks for their shops. After Phase 1, they know it is difficult to survive for them. They are on the verge of defeat. They are not fighting in 40 seats (in Uttar Pradesh), can they ever become PM? Lok Sabha Election 2019 Updates: Addressing a rally in Aligarh, Prime Minister Narendra Modi said that the election results will compel the Mahamilavat in Uttar Pradesh to put 'Aligarh locks' on their shops. He said that the Opposition in the state knows they are on the verge of defeat. Congress general secretary Priyanka Gandhi on Sunday addressed a public rally in Assam's Silchar in favour of the Congress Lok Sabha candidate, Sushmita Dev. Priyanka said, “The prime minister has time to visit US and other countries but doesn’t have the time to visit his own people. When asked the public, they said Prime Minister Narendra Modi has not visited his own constituency." Narendra Modi launched an attack on the Opposition, and the Congress in specific. He also alleged that Amarinder Singh had 'insulted' the Jallianwala Bagh memorial by not attending the Congress' memorial on the day of the incident's centenary. Prime Minister Narendra Modi will keep up the campaign for the second phase of the Lok Sabha election with three rallies on Sunday — in Jammu and Kashmir's Kathua and Uttar Pradesh's Aligarh and Moradabad. Moreover, BJP's Bihar ally JD(U) is likely to release its manifesto on Sunday. An Opposition all-party press conference is also scheduled for Sunday, reports said, adding that representatives of nearly all political parties will be present. Andhra Pradesh chief minister N Chandrababu Naidu will take lead in the press conference, while Delhi chief minister Arvind Kejriwal and Congress leader Kapil Sibal will also be present. 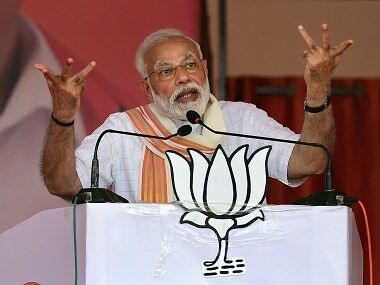 On Saturday, Modi mocked Congress' "dream" of forming a government at the Centre and castigated it on national security and Jammu and Kashmir issues, asking people to punish it in such a way that the party would not be able to save its deposits in the Lok Sabha polls. 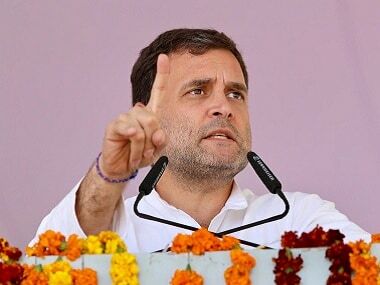 Addressing a rally in Bengaluru, he said the Congress has promised to remove the Army from Jammu and Kashmir, saying "exactly what Pakistan says word to word in Pakistan's language." Devoting most parts of his speech to national security, Modi said the Congress had spoken about coming to power in its manifesto and added, "who can stop one from dreaming? But let them dream about forming the government. I can understand it because a chaiwala has robbed the opportunity of four generations of Sultanate," he said. "Which way are they going? Didn't you feel the pain and anger hearing this? The Jammu Kashmir for which thousands of soldiers were martyred, you want to make soldiers unarmed, helpless?," he asked the crowd. Modi said Congress had also said in Pakistan's language that they would remove the army from Jammu and Kashmir. "Is this okay with you, will you be able to forgive Congress? Pandit Nehru sowed the seed of fire in Kashmir and still the country is bearing it, now they say they will remove army from there, what is the meaning of it?" Modi also referred to the talk about having two prime ministers — one in India and the other in Jammu and Kashmir (by National Conference leader Farooq Abdullah).